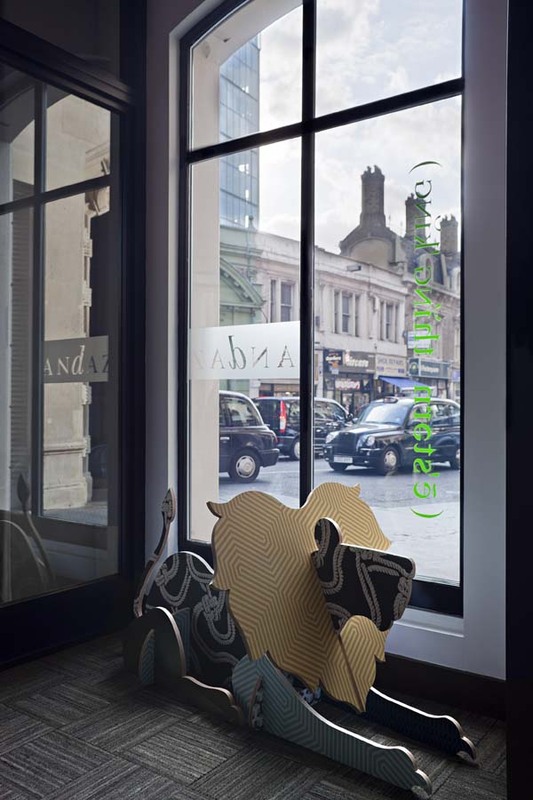 As part of the London Design Festival, Cole & Son showcased their geometric range wallpaper at the 5 star Andaz Hotel in Liverpool Street. 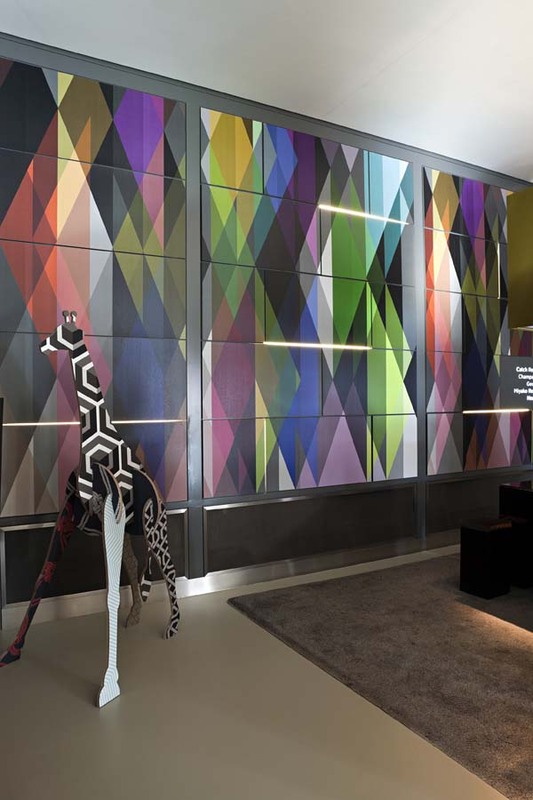 The back wall of the Andaz lobby displayed the dramatic digital panel design entitled ‘Circus’ and to add a humorous twist, the wallpapers were offset by large animal sculptures, each dressed in their own patchwork of geometric patterns. When Cole and Son approached us to produce the 1m and 2m high animal models, we were delighted to be involved with such a creative fun project. Firstly, we produced artwork and laser cut miniature 1:10 marquettes to test the workings of the design. 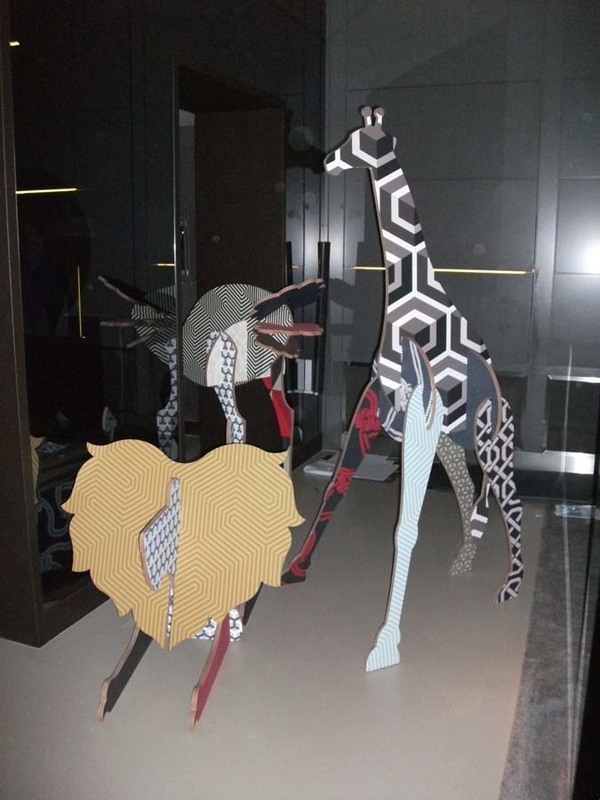 Then, using art lasers and our state-of-the-art CNC machine, we cut out components from 18mm birch ply for a 1m high lion, and a 2m high giraffe and ostrich. We then applied the various Cole and Son geometric patterns. The effect was stunning and during the installation period, the Andaz lobby entrance was transformed into a striking attraction and became quite a talking point. The sample we have in our workshop still attracts attention to this day.